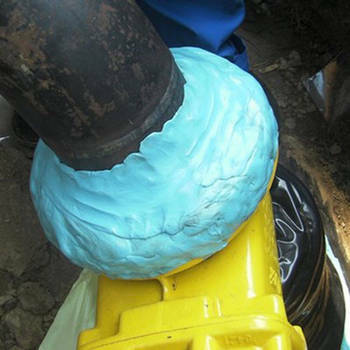 Viscous-elastic Paste is an unique cold-applied, cold flow, self-healing for the protection of under- and aboveground substrates against corrosion. Viscous-elastic Paste shelf life over 30 years. 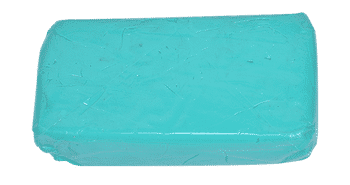 Viscous-elastic Paste always remaining plasticity and flexible characteristics after applied. It is good corrosion preventing to Flanges, bolts, valves. Applied without Primer and Heating, due to its liquid nature flows into all irregularities of the substrate. 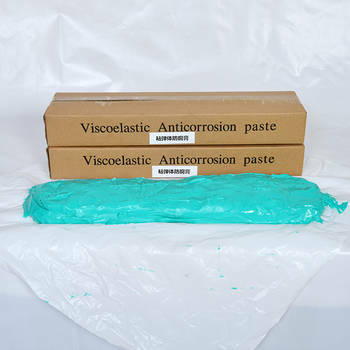 Viscous-elastic Paste are Non crystalline a-polar viscous elastic solid paste. Material not in fluid phase. 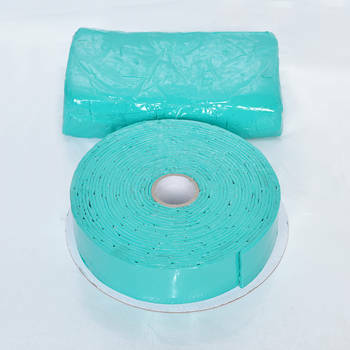 Two layer system with corrosion protective shaped and non-shaped substrates with mechanical protective outer wrap. 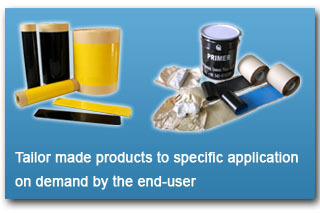 1.Immediate adhesion to a substrate of Steel, PE, FEB, PVC, Bitumen without primer. 2.Permanent wetting characteristics, Remaining plasticity and flexible characteristics over 30 years. 3.100% impervious to moisture and gases. 2. 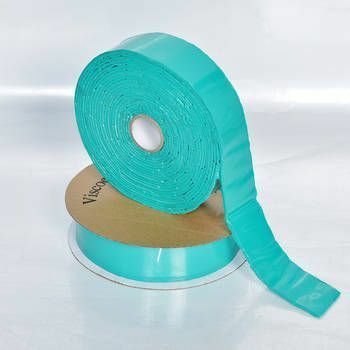 Requires and additional flexible mechanical protective layer Outerwrap tape. 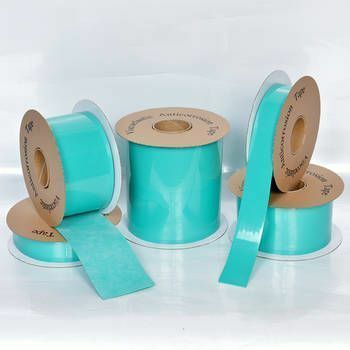 The thickness ≥0.80mm PE Tape or thickness ≥1.10mm PP weaved tape. 3. Don’t application in Rain, Snow, Fog and the air humidity＞85%. 1. Away from Fire, direct Sunlight or Rain. 2. Storage place @-5℃~ +45℃ temperature and the relative humidity＜75%.